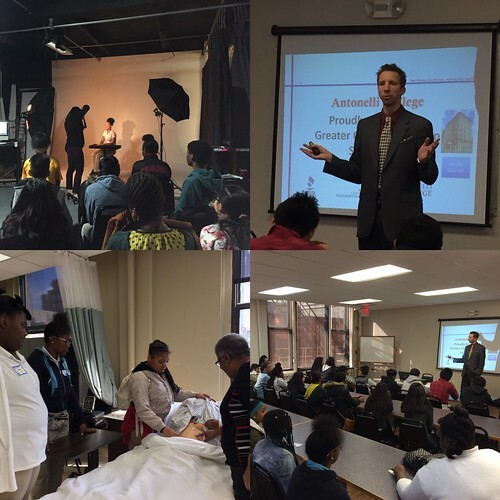 On Friday, Antonelli College Cincinnati hosted a group of students from the Junior Achievement program for Job Exploration Day 2018! Students learned about professionalism and career planning, and had the opportunity to gain hands on experience in fields such as Dental Assisting, Nursing, and Photography. Workshops were conducted by experienced Antonelli faculty members. It was the school’s fifth time hosting the event, and – as always – a treat to be inspired by the next generation in our community. Copyright © 2019. Antonelli College.